This is a fitness myth that needs to be dispelled! You have no idea how many times I ask someone if they are getting enough protein, and they say ‘Why yes!’. I ask them what they eat, and 9 times out of ten they mention chicken and then peanut butter. Nut butters are NOT classified as a protein. When we break down what is in a food, we like to classify it by what it has the most of in it. It’s not that peanut butter or nut butters are bad, but, let’s just get clear on what you are feeding your body. 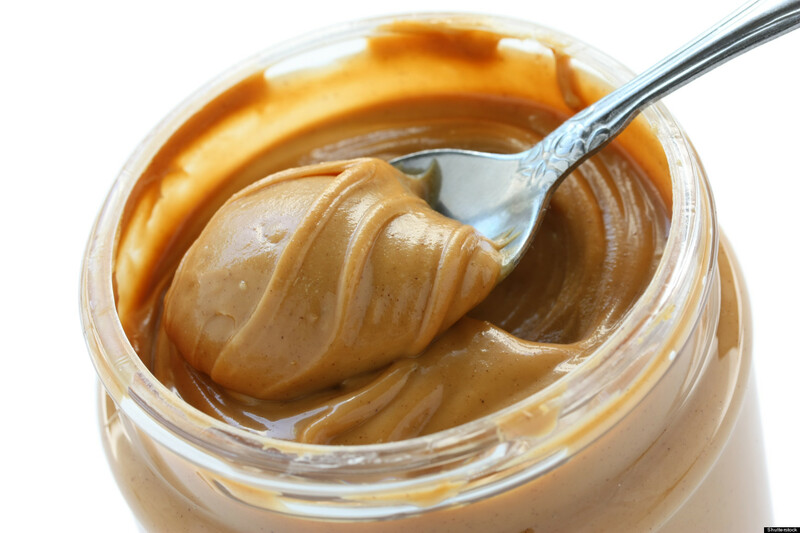 In one tablespoon of peanut butter, there is 94 calories …. that is ONE TABLESPOON. There are 8.06 grams of fat, 4.01 grams of protein, and 3.13 grams of carbohydrates. There is literally DOUBLE the amount of fat than there is protein in peanut butter. Therefore, we would classify this as a fat, not a protein. Let’s take a look at the breakdown in about 1/2 of a chicken breast (about 100 grams). There is 130 calories. 1.46 grams of fat, 27.25 grams of protein, and 0 carbs. Therefore, we would clearly classify this as protein. This would also be considered a very lean protein, meaning there is little fat in it. Plus, compared to 1/2 a chicken breast at 130 calories, and only ONE tablespoon of peanut butter at 94 calories (that is only a 36 calorie difference), you get more bang for your calorie buck with the chicken breast. If you are eating 63% of your diet in fat, that is not a very good ratio. People come to me and say they aren’t going to eat carbs. Well, that isn’t healthy either! It’s about balance. That is why I find a good quality whey protein shake to be one of the easiest and best ways to get in the nutrition we need and at a good balance ratio for diet. Let’s look at a whey protein shake. (This is the one I personally drink every morning). For one shake (one serving which is two scoops), we are looking at 240 calories. We generally actually drink the serving, unlike steak and chicken, where most of us eat more than the recommended serving. It’s 5 grams of fat, 24 carbs, and 24 grams of protein. Very balanced, and a really good bang for our calorie buck! This is just one of the many reasons fitness people love shakes. They are easy, convenient, fast, and they are balanced. Plus, not to mention all of the benefits that whey protein gives you. Make sure of three things when looking at a whey protein. Make sure you know the source of the whey (if it’s from low quality milk, you are getting low quality whey), make sure it is undenatured, and make sure that there are digestive enzymes in it. These are very important! With out these 3 basic elements, the whey protein is not cellular accessible, and it is not really benefiting your body. If you have ever had a protein drink, and it has just sat in your stomach, it isn’t digesting. It probably wasn’t undenatured, and it probably didn’t have any digestive enzymes in it. So, I hope this gives you some insight into calories, fat, carbs, protein, and what is in your food. Educate yourself! Download myfitnesspal. It’s free, and it will show you ratio’s in your diet, and balance. When you educate yourself about nutrition, you have so much power over your own life and goals! Now, let’s make this day and every day count towards better health!